Coulter Partners consolidates global team with appointments in New Jersey, Newton and London. Global Life Sciences search specialist, Coulter Partners is pleased to announce a number of new appointments in the US and in London. Jo Anne Patrick and Mat Rosso both join as Principals in Morristown New Jersey, while Jonathan Deacon has been appointed Senior Research Associate and Laura Hart, Senior Associate in London. Antonietta Baffa joins the Newton Office as Research Associate. “We are delighted to attract such outstanding talent to the global team and welcome all our new colleagues with their diverse experience and specialist knowledge. This growth consolidates our Life Science search strengths in many key functional and geographic areas,” comments COO, Joe Coulter of these appointments. 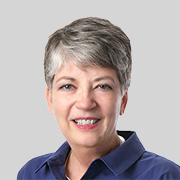 Jo Anne will focus on senior level global assignments with an emphasis on scientific, medical and R&D roles across the spectrum of Biotechnology, Pharmaceuticals and Medical Technology. Her particular specialisms include Translational Research, Clinical Development, Medical and Regulatory Affairs, Pharmacovigilance and Drug Safety. 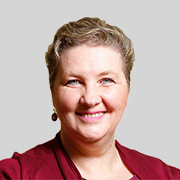 Jo Anne draws on 18 years of Life Science executive search expertise gained with leading international retained search firms including the Stevenson Group and a broader track record of search and management consulting in Life Sciences, Finance and Retail going back to 1986. Jo Anne holds a BA in Sociology and Psychology from Indiana University. Mat’s senior executive search focus will be on scientific and technical roles across the spectrum of Life Sciences, with specialisms in oncology and research strategy. A strong track record working with clients from early-stage through to large multi-nationals has also included a broad range of commercial and manufacturing search assignments. Mat draws on 4 years of Life Science executive recruitment with leading retained search firms, also including the Stevenson Group. He brings significant scientific research expertise gained over 4 years in laboratory management and has been a US professional figure skating coach since 2009. 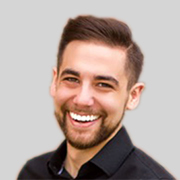 Mat holds a BSc in Life Science/Biochemistry and Molecular Biology from Pennsylvania State University. Jonathan will work on senior leadership research assignments across the breadth of Pharmaceutical, Biotech, Medical Device, Diagnostic and Clinical Research Organisations, with special interest in financing, M&A and new technologies. He draws on broad functional expertise encompassing both scientific and commercial roles, and including C-suite and NED gained over 7 years in international Life Science executive search with leading firms, including Korn Ferry (Futurestep). Jonathan holds a BMus (Hons) from the Guildhall School of Music and Drama. Laura’s focus is on board and senior level assignments, with an emphasis on R&D, Manufacturing Quality, General Management and Commercial roles across Biotechnology and Pharmaceuticals. 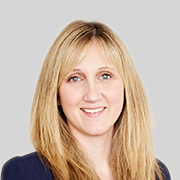 With a keen interest in research strategy, Laura has over 9 years of executive search experience across sectors including FMCG, life sciences and service industries and spanning geographies that include EMEA and APAC. Her extensive background in search for early-stage companies and large multi-nationals was gained with international search firms Heidrick and Struggles, Ward Howell and RSA. Laura has a BA in Tourism Management from the University of Hertfordshire. Antonietta works on senior executive level research assignments across a broad spectrum in Life Science, with a recent emphasis on scientific roles. With over 20 years’ extensive experience in both Clinical Laboratory Sciences and Operations Management in the healthcare industry, Antonietta is fluent in English, Spanish and Italian. She has a particular interest in immunohematology, quality assurance and software validation. Antonietta has a BSc in Medical Technology from Temple University, Philadelphia. “These appointments enhance our ability to access the world’s best talent and attract those best placed to solve the leadership challenges of this innovative sector. I take great pleasure in welcoming all our new team members with their wealth of experience and skills,” concludes Managing Partner, Sharon Shields. To accommodate the growth of the team, during October the New Jersey office will move from Morristown to 51 JFK Parkway, First Floor West, Short Hills, New Jersey, 07078.